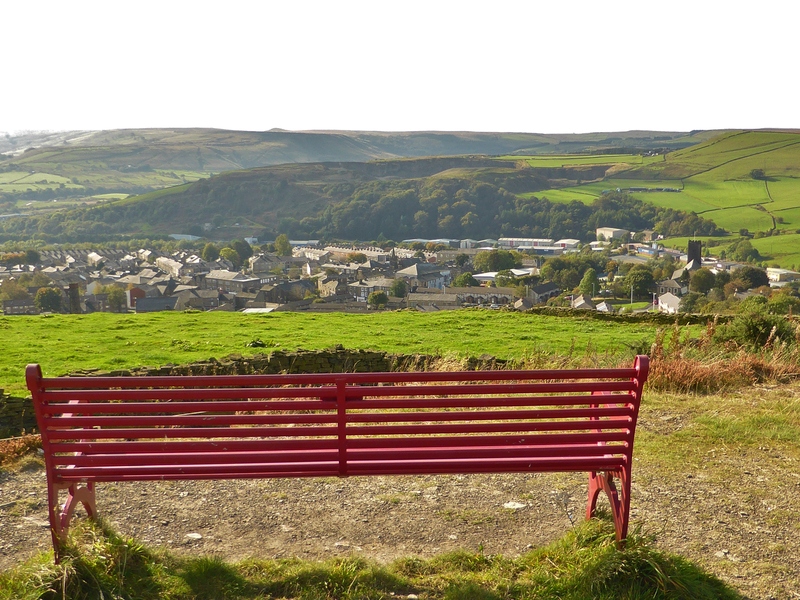 On our walk to Top O Slate above Haslingden and next to the wonderful Halo sculpture there is also a bright and cheerful bench dedicated to Dr Eugenie Hilda Dorothy Cheesmond. I don’t usually feature two memorial benches from one location but I couldn’t resist this time, as the story this bench told was so moving and engaging. 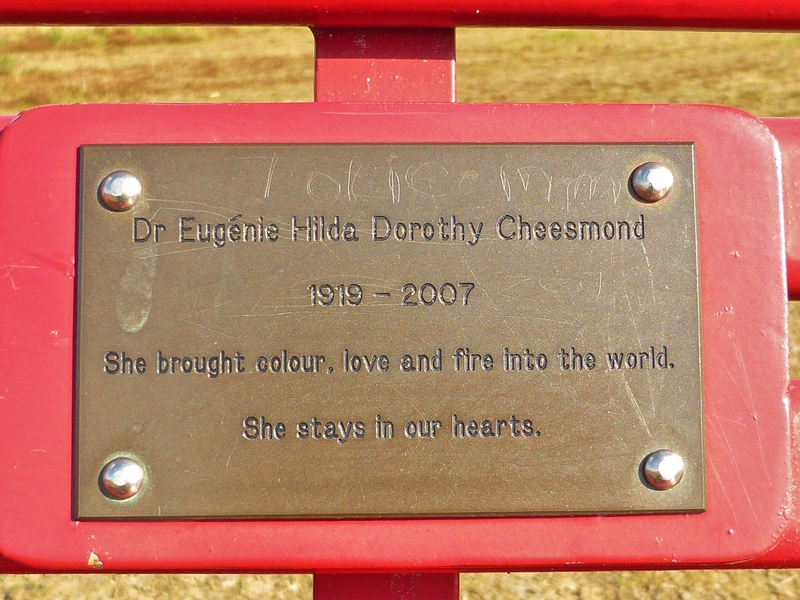 As the bench suggests, Dr Eugenie Cheesmond was a colourful and lively person and her obituary tells the story of a wonderful ‘feisty’ woman who was a fighter for justice as an anti-apartheid activist, an ANC member and a labour party activist, as well as being a mountaineer and a Doctor at Burnley Hospital. 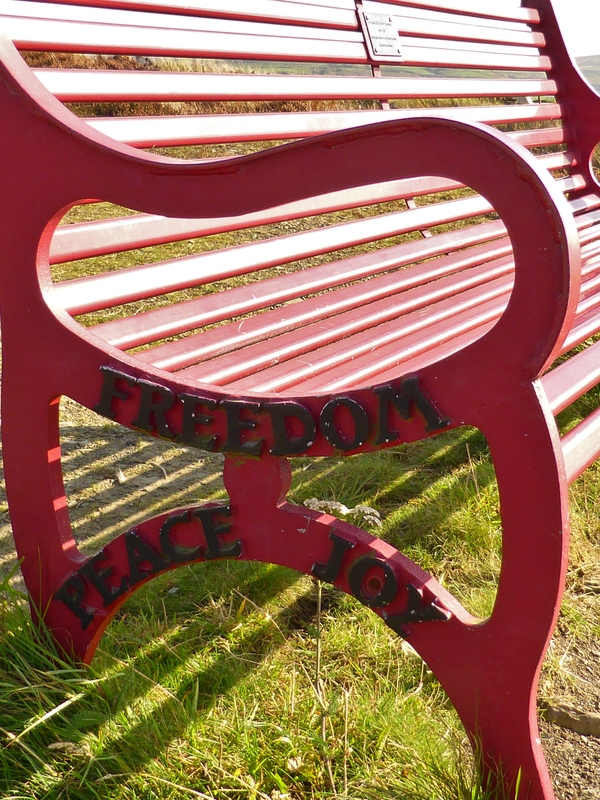 The memorial bench was paid for by her family and friends using donations given at her funeral. A photo blog illustrated with beautiful photographs from her funeral tells us that she loved to dye her hair bright colours and how she welcomed people in to her home. This blog also shows how well loved she was by many friends and family. Dr Cheesmond also set up the Lifeline Project in Manchester in 1971 that continues to provide drug and alcohol services. She bought colour, love and fire into the world. She stays in our hearts.